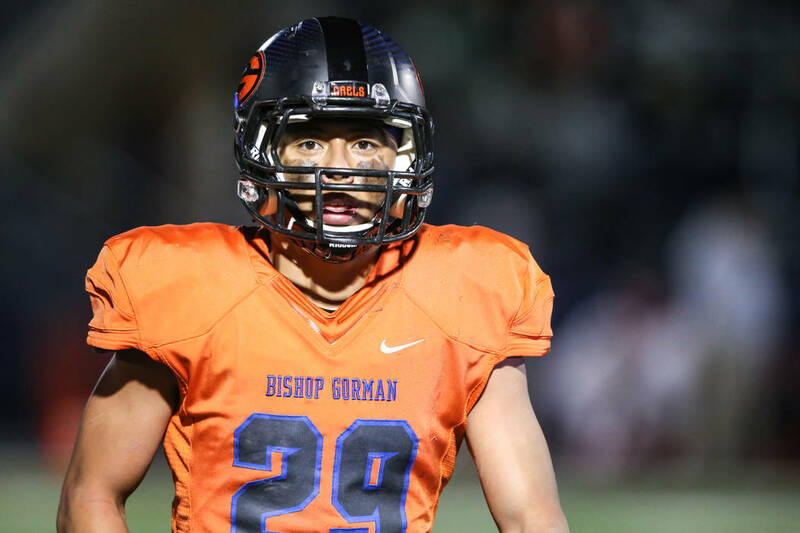 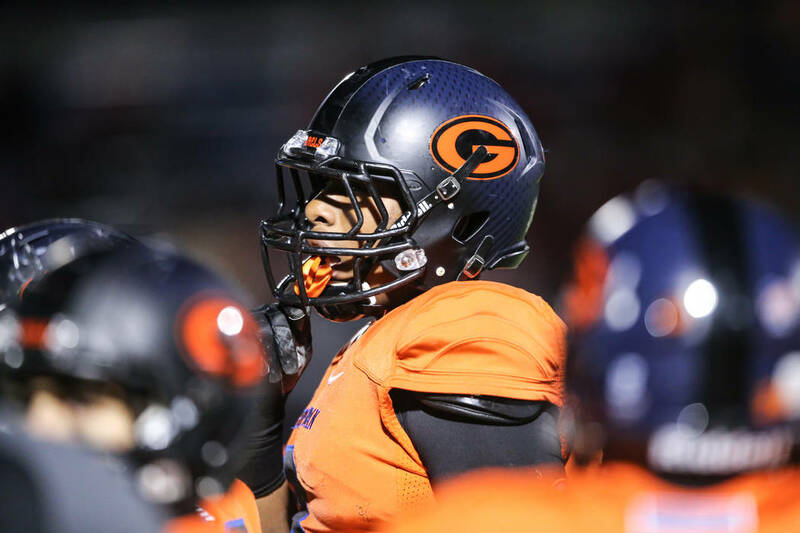 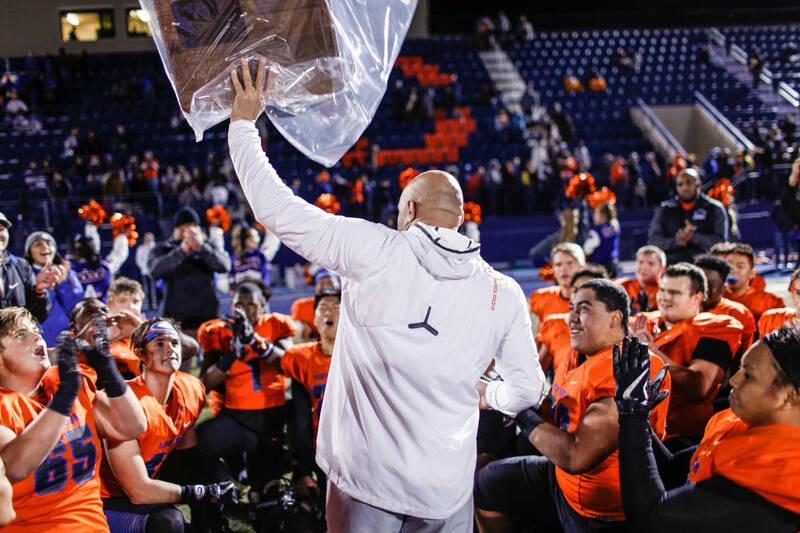 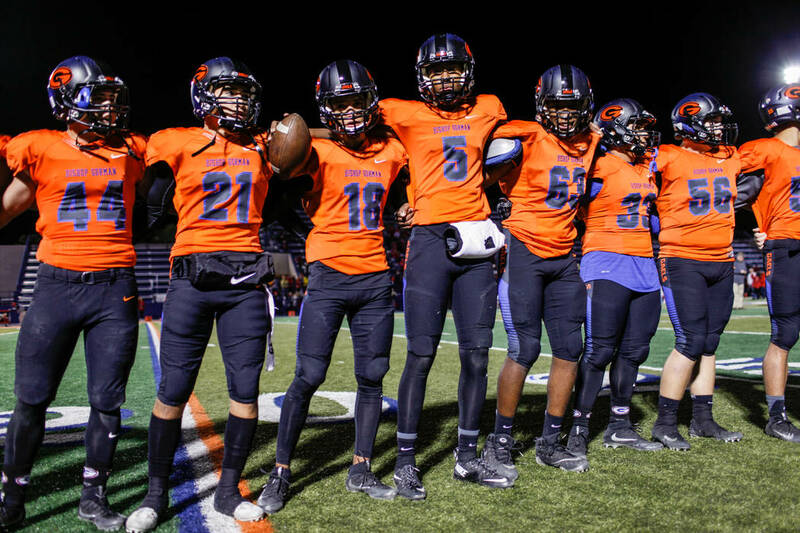 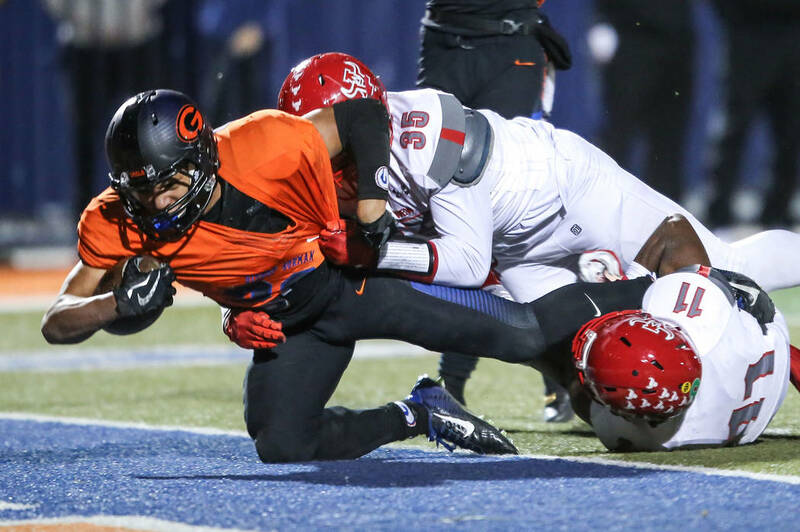 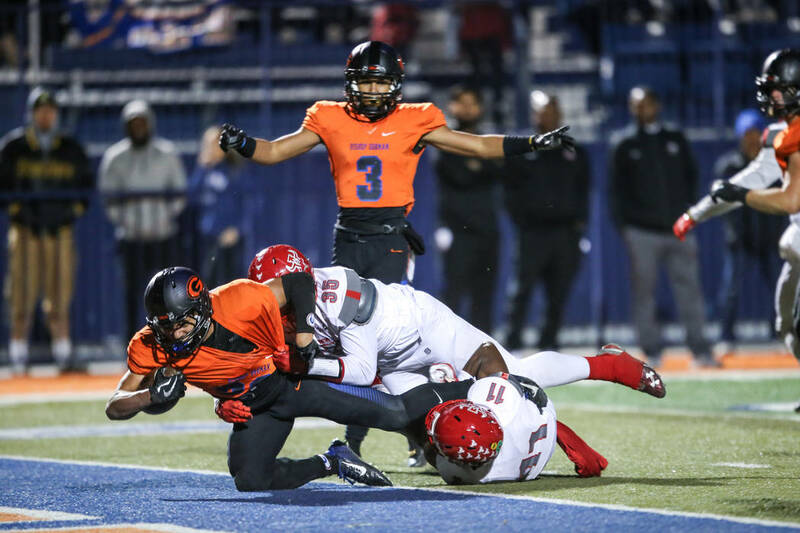 Noah Lopez, a defensive back, finished with three sacks, a forced fumble and a fumble recovery to help Bishop Gorman’s football team secure its ninth consecutive region title with a 42-7 win over Arbor View at Fertitta Field on Friday. 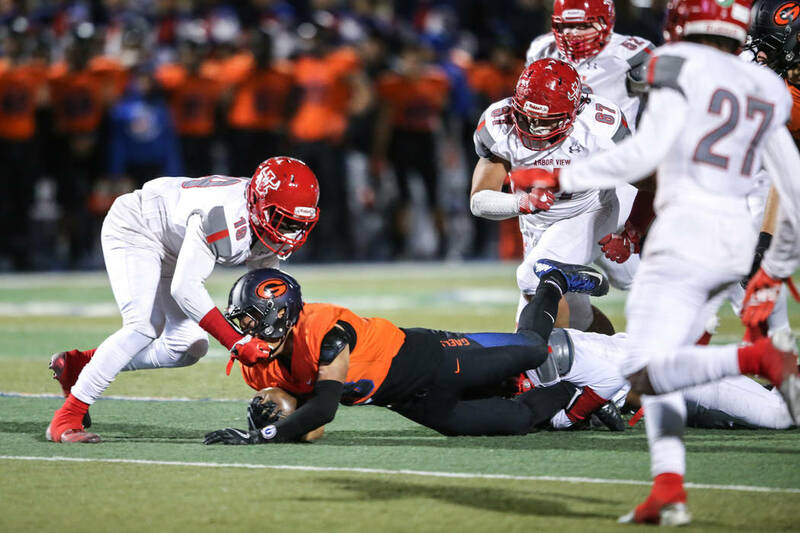 Noah Lopez’s teammates told him early this week Arbor View would be the most physical in-state team Bishop Gorman has faced this season. 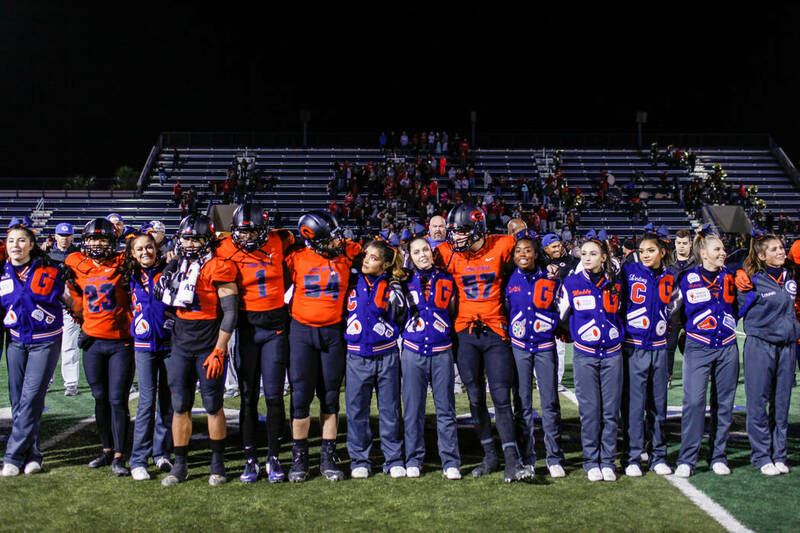 They weren’t wrong, as evidenced by a 7-all first quarter. 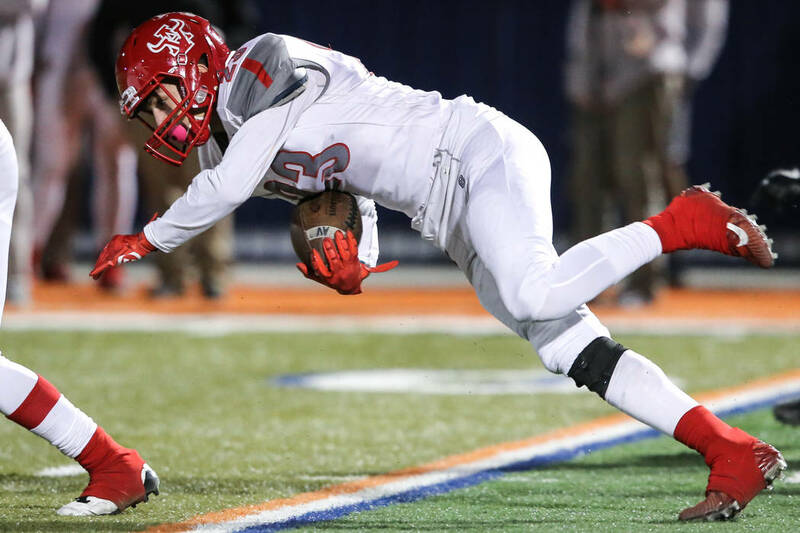 But the 5-foot-8-inch Mater Dei transfer didn’t back down Friday night. 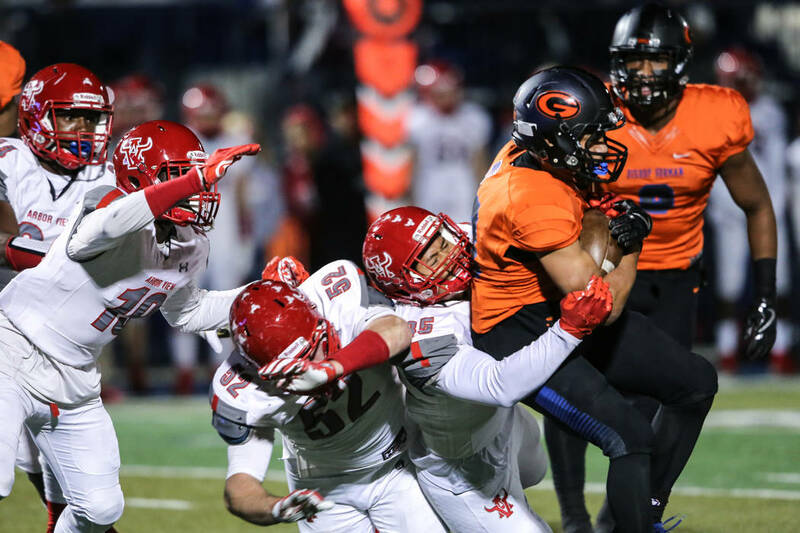 He provided several key defensive plays in the first half, sparking the Gaels in the Class 4A Sunset Region final. 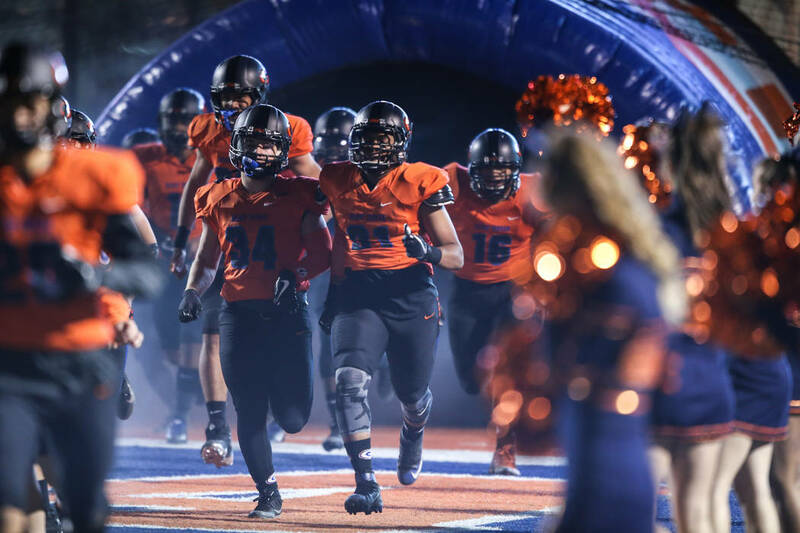 Lopez, a defensive back, finished with three sacks, a forced fumble and a fumble recovery to help the Gaels secure their ninth consecutive region title with a 42-7 victory over Arbor View at Fertitta Field. 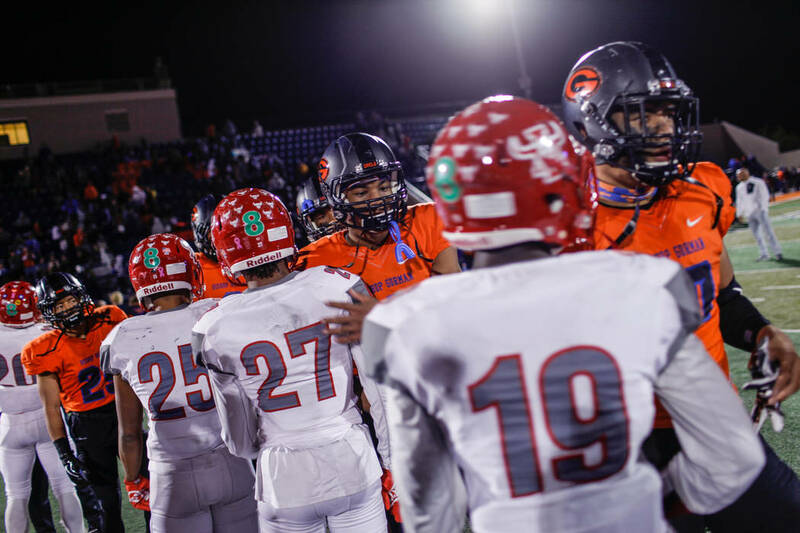 Eight-time defending state champion Gorman (11-2) will face Sunrise Region champion Liberty (11-1) in a state semifinal Friday at Rancho High. 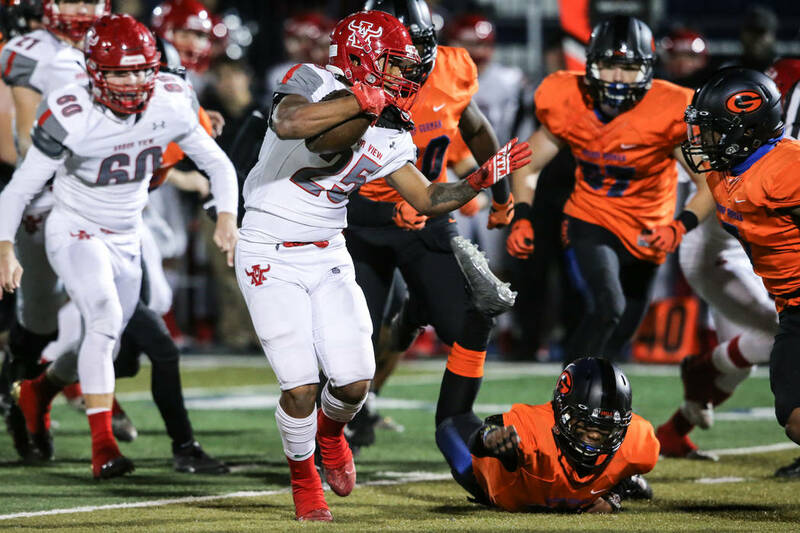 With Arbor View employing its double-wing offense, Lopez had one-on-one matchups off the edge during play-action passes. 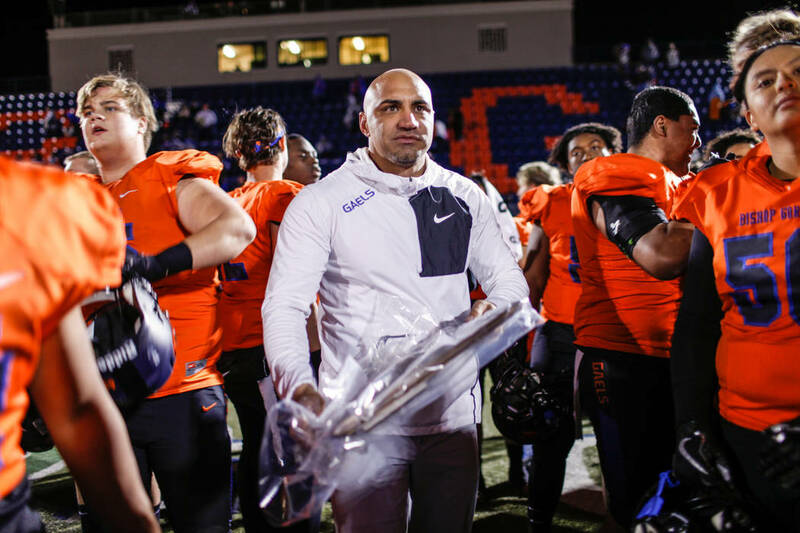 And he capitalized early in the second quarter, scooping up the game’s first turnover off a forced fumble by teammate Isaac Tuia, to give the Gaels the ball at the Aggies’ 16. 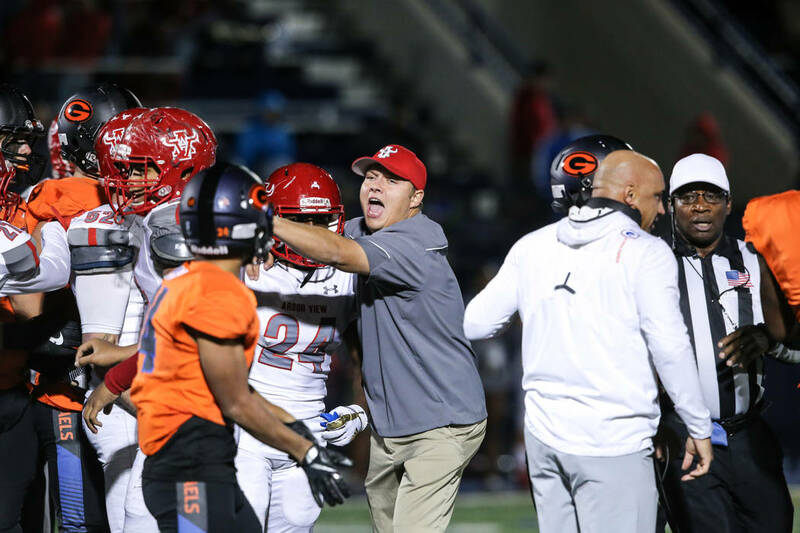 Arbor View had all the momentum on its side after stopping Gorman on fourth-and-9 to end the opening quarter. 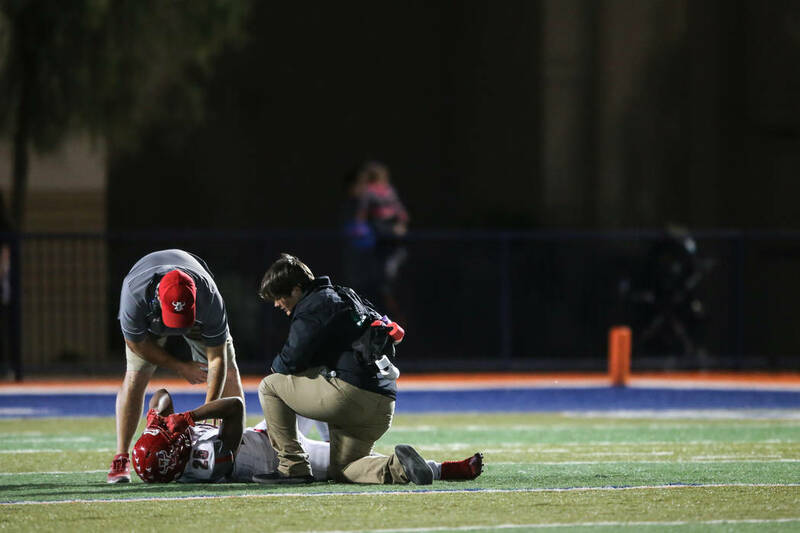 But Lopez’s recovery quickly led to a 10-yard touchdown run by Brevin Jordan, and then 35 unanswered points by the Gaels. 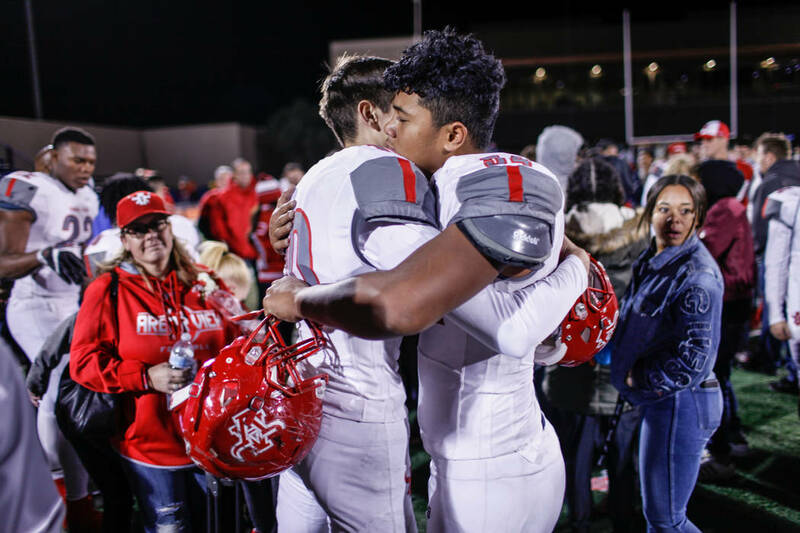 Lopez had back-to-back sacks on the Aggies’ next offensive possession — one a forced fumble on Arbor View quarterback Logan Bollinger — that led to one of Amod Cianelli’s two second-quarter rushing touchdowns. 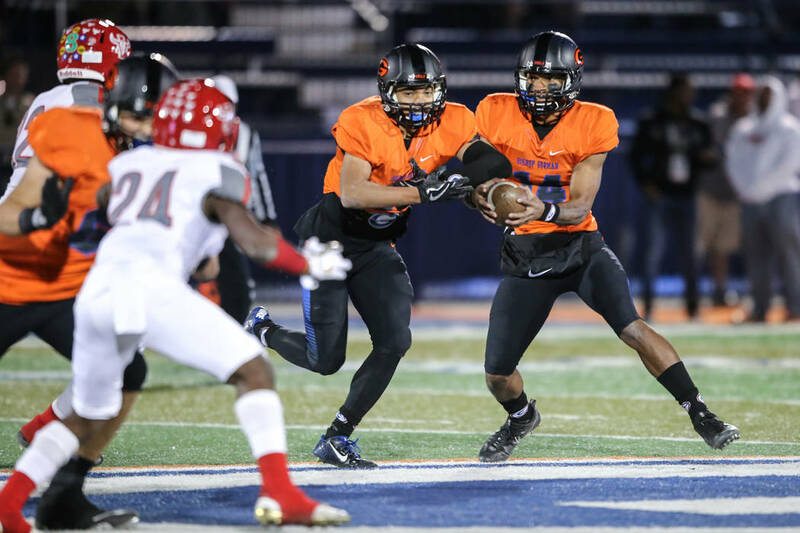 Dorian Thompson-Robinson was 6-for-13 passing for 79 yards and a touchdown. 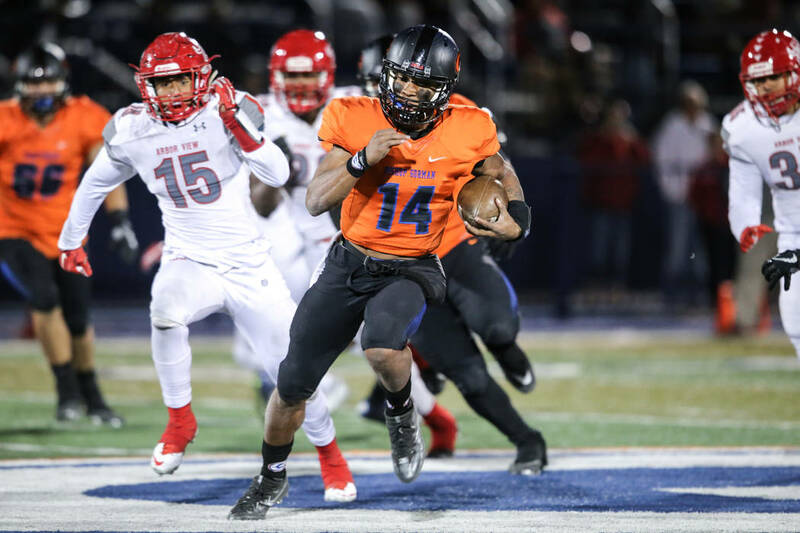 The UCLA-bound quarterback also had 121 yards rushing and a touchdown. 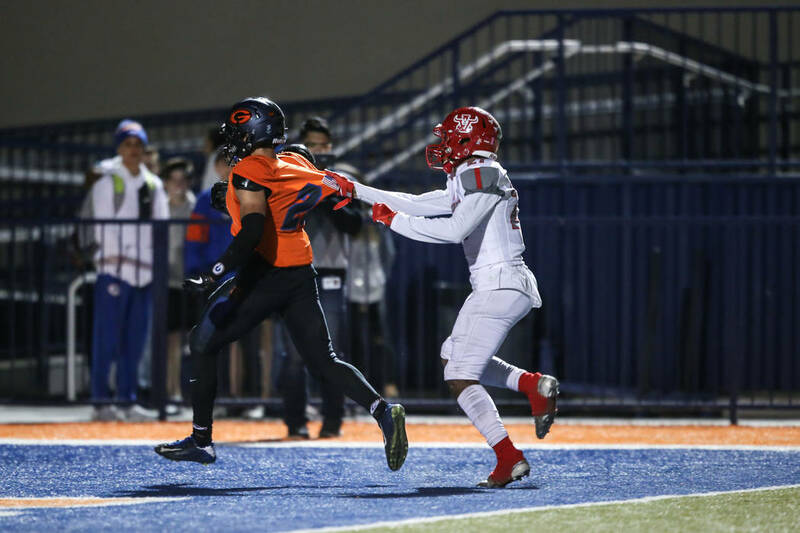 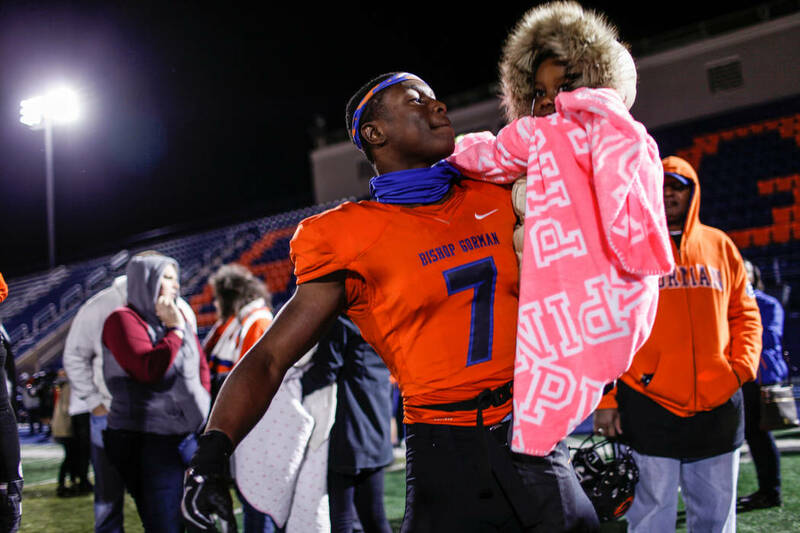 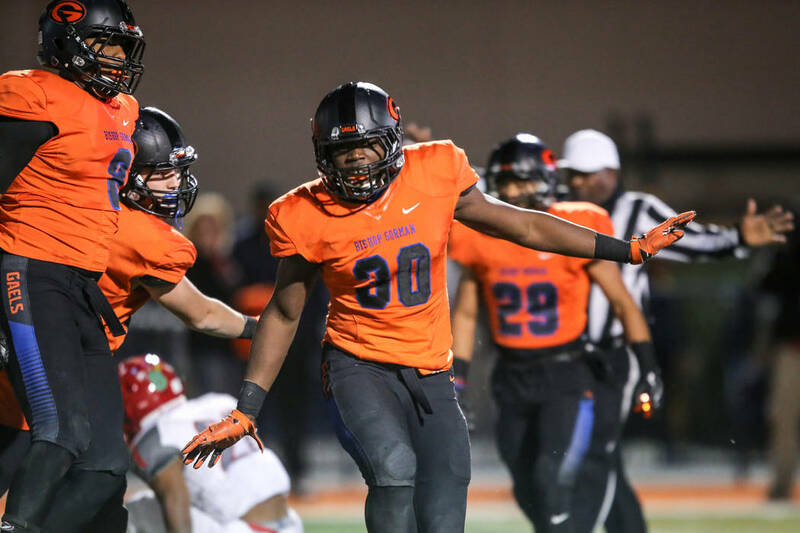 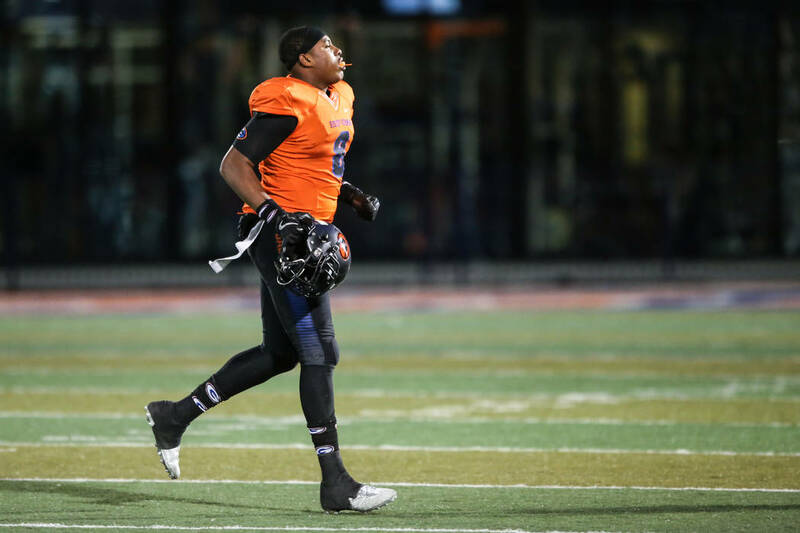 Cianelli rushed for 105 yards and two touchdowns on 11 carries, and Cedric Tillman had a touchdown reception for Gorman, which also got an interception from JoJuan Clairborne. 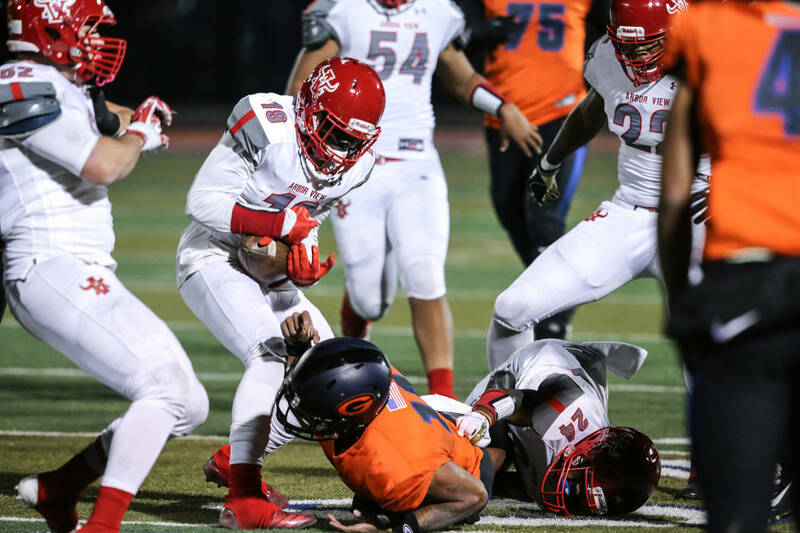 Bollinger threw a 30-yard touchdown pass to Kyle Graham to lead Arbor View (10-1).